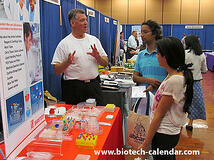 Life science researchers in New Jersey are invited to attend the upcoming 1st Annual BioResearch Product Faire™ Event at the Rutgers University, Busch Campus in Piscataway, NJ coming up May 8, 2015 from 11:00 a.m. to 1:30 p.m. This event provides researchers with an exceptional opportunity to meet with sales representatives from a wide variety of lab supply companies to learn about new products and services available that will benefit labs and research, while saving time in the future. Take a break from your research and come out to the event to see what is new in the world of life science supplies, get your questions answered, and learn about new tools and technologies available to use in your lab! 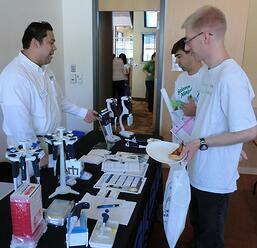 Attendees at past BioResearch Product Faire™ Events discover new supplies to use in their labs. 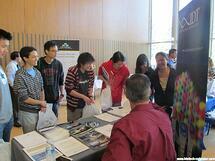 The 1st Annual BioResearch Product Faire™ Event is a chance for researchers, PIs, lab managers, professors, post docs, grad students, purchasing agents, and other lab staff to meet face-to-face with different lab supply companies to learn about new tools and technologies that are available. Save lab time in the future by meeting with numerous lab suppliers in one place, instead of meetingwith them individually in your lab, while you're trying to work. By attending the event, you not only have the opportunity to find new supplies, but you also have the chance to win door prizes and collect giveaway items. 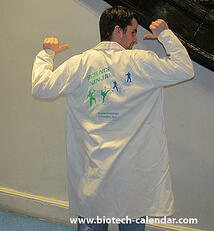 Come after 12:00 p.m. and have the chance to take home a #ScienceNinja lab coat. SAVE THE DATE: Friday May 8, 2015 from 11:00 a.m. - 1:30 p.m. 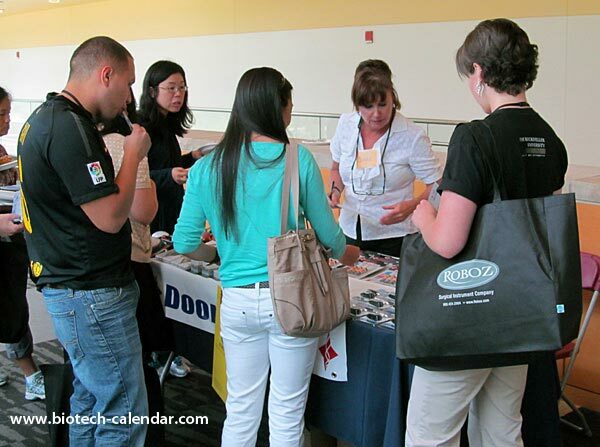 Lab supply companies interested in participating in this event at the $228 million Rutgers research marketplace are encouraged to visit the following to learn more about exhibiting at Rutgers.